The Cane River National Park Service partners will welcome Super Junior Ranger Aida Frey to the Cane River Creole National Historical Park, Cane River National Heritage Area and the National Center for Preservation Technology and Training next weekend. Aida Frey, 16, has visited 299 national parks in seven years. Her visit to the Cane River Creole National Historical Park Saturday, Nov. 18 will mark her 300th visit. Frey is passionate about traveling with her family and participating in Junior Ranger programs across the country. Not only does she love learning about the various parks, she also hopes to inspire other kids to participate in Junior Ranger programs. She has also written a book about her adventures. To assist Frey in earning her badge, there will be many opportunities to meet her and to share the unique Cane River Creole heritage. A book signing will be at the Natchitoches Parish Library Friday, Nov. 17 from 3-6 p.m. The public is invited to join Frey at 9 a.m. Saturday, Nov. 18 at Oakland Plantation for a behind the scenes tour of the plantation, followed by a tour of Magnolia Plantation. A reception celebrating the Living Legacy of Cane River will be at 1 p.m. at the National Center for Preservation Technology and Training (NCPTT). Following the reception, there will be a tour of the research laboratories of NCPTT. 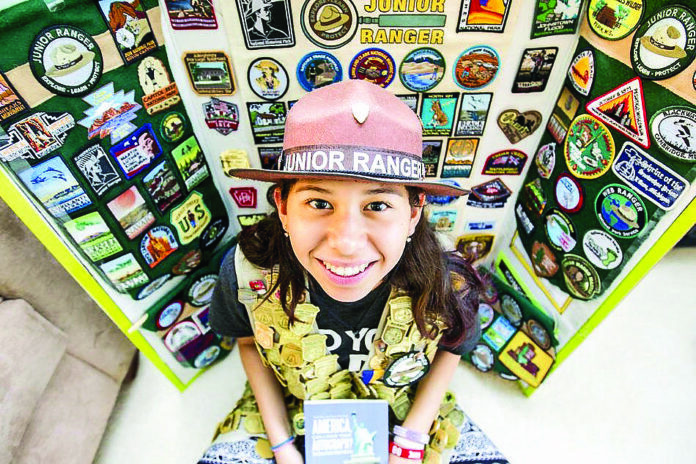 After the tour, Frey will be presented with her 301st Junior Ranger badge. This will be the first Junior Ranger badge ever given out by NCPTT. The Junior Ranger program was developed in honor of Aida’s visit to the Center. Oakland Plantation is located at 4386 Hwy 494, Natchez, and the NCPTT is located at 645 University Parkway, Natchitoches.